Daniel Ricciardo should leave Red Bull and race for Ferrari, according to 2016 Formula 1 world champion Nico Rosberg. Red Bull has made it clear it wants to retain Ricciardo alongside Max Verstappen, but Rosberg believes the six-time grand prix winner should replace Kimi Raikkonen at Ferrari. That would reunite Ricciardo with Sebastian Vettel, who partnered the Australian at Red Bull in 2014. "Ask me [about] individual drivers, where they should go: Ricciardo, I would say Ferrari," said Rosberg after being quizzed about the drivers he would pick if he ran a team. "I think he should go to Ferrari. It [Vettel and Ricciardo together] worked at Red Bull, didn't it, for one year. "I'm not sure if Vettel is going to be too happy about him joining, because Ricciardo was faster than him in Red Bull. "But apart from that I think that would be a good choice for him, a good move." Ricciardo won three races in a stunning debut season in Red Bull's senior team in 2014, which at the time was Vettel's first full campaign with no victories. It remains the only year in which Vettel was beaten by a team-mate in the championship. Vettel has often talked about how happy he is with Raikkonen as his team-mate, and commented on the positive dynamic they have within the team. It has been suggested that Vettel has a veto over team-mate choice at Ferrari, which even Lewis Hamilton jokingly referred to on Wednesday after Vettel was asked if he would take the Mercedes driver as a team-mate. Mercedes is yet to confirm any drivers for 2019 but a move there is less likely for Ricciardo, with Hamilton expected to sign a new deal and either the team's current driver Valtteri Bottas or Mercedes junior Esteban Ocon the favourite to join him. Rosberg collided with Hamilton on several occasions when they were team-mates at Mercedes and joked that he knows from experience there would be "complications" if Ricciardo joined the German manufacturer. With Mercedes an unlikely destination and Red Bull's potential to gamble on a deal to make Honda its engine supplier, joining Ferrari for next season would be Ricciardo's best short-term option for a title challenge. Rosberg said he has been shocked by Ferrari's form in 2018, during which Vettel has claimed three poles and won twice. 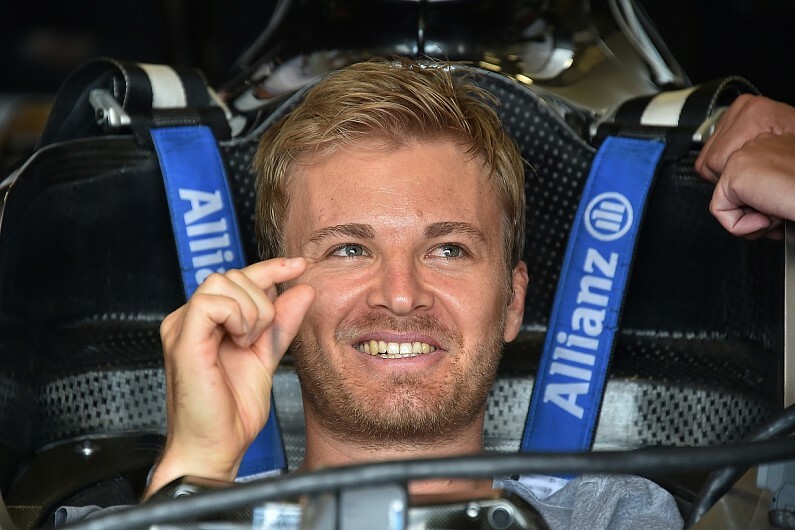 "I'm very surprised because I know how incredible Mercedes is," said Rosberg. "I thought last year Ferrari, new regulations, maybe they just got a few things right and then Mercedes with time, with the development, would just completely disappear again. "I'm completely surprised that Ferrari generally has the better car at the moment. "I didn't expect that. They have done fantastically."